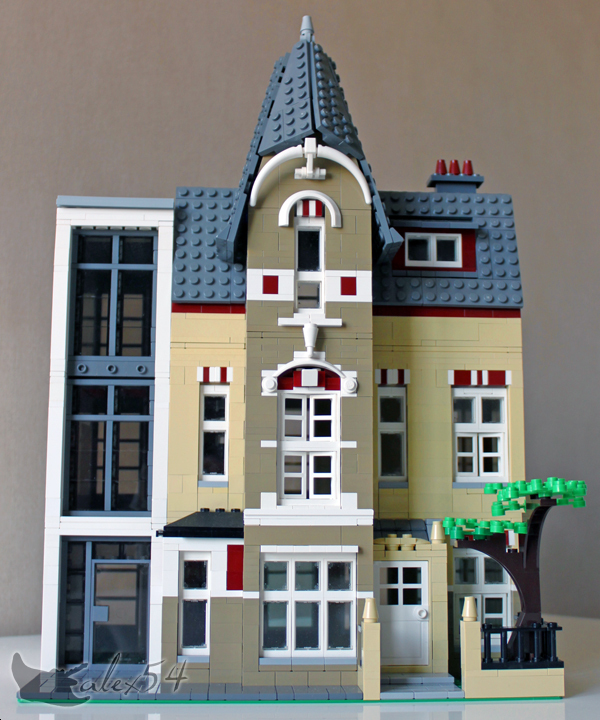 Brick Town Talk: Towering Above the Rest - LEGO Town, Architecture, Building Tips, Inspiration Ideas, and more! 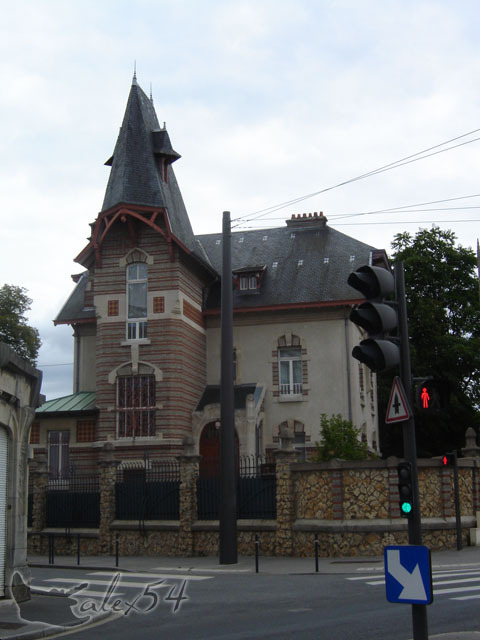 Back in France - (BTT) Drawing inspiration from an Art Nouveau gem, this tan and red building keeps the asymmetrical massing and signature tower element of the original while still mixing things up. The modernist white and gray building flanking the left may lack some of the more ornate detailing, but still manages to compliment its neighbor nicely and should not be dismissed as simple filler. Please feel free to join the discussion at the Eurobricks forums.